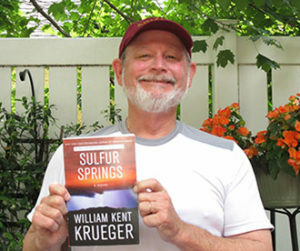 “Sulfur Springs” is almost here! Signed Copies Available for Pre-order from Barnes and Noble! My full, updated tour schedule is available here. If I’m not coming to a bookstore near you, but you would still like a signed copy, don’t despair. I’ve signed a thousand copies for Barnes and Noble. They’re available for pre-order; just use this link. Of course, you can also order signed books from most of the stores where I’ll be appearing. I hope to see you somewhere on the road!